3 years ago, when Niniola first entered the charts with “Ibadi” she made it clear where she was headed. Since then, Niniola has steadily navigated the treacherous waters of below-average youtube views, critics and marginalisation of women in the industry. Armed with Sarz’ calculated approach to ear-wormery, Niniola delivered “Maradona” early this year, gracing the charts with her Afro-house genre which has morphed through a range of African styles with EDM accents. With just an inch away from a million views on Youtube, “Maradona” is cementing Niniola’s stay as a firebrand of Afro-house, after years of being labeled an up-comer. From time immemorial, insufficient promotion, trivialization of market value and the tendency of label managers to force artists into leaving the genres that got them noticed in the first place and transition into easy listening jollof music, have been some of the underexplored pitfalls for women that choose a career in music. Even as the first half of 2017 comes to an end, these recurring problems trail women in the music business, and the numbers are counting. Singer Di’Ja released “Wan Chop” and “Sowemo”, earlier in the year, two conceptually tame singles that do not really challenge Di’ja as an artist or a brand in any way, and in our opinion have been promoted poorly. For an artist signed to one of Nigeria’s most successful modern record labels, Di’Ja’s pedigree should have been built beyond cheeky one-liners, even worse, poorly promoted ones. But over the past two years (since Tiwa Savage’s R.E.D album), Don Jazzy has given away albums including Belloved for free as a kind of Machiavellian marketing strategy. Di’Ja has been unable to recreate the cross over success of her single “Awww”. This could either be tied to the production works on the song or the success of the Mavins group who at the time had just branded and successfully promoted their newly formed bond. Years past since then, -to fully understand what Di’ja brings to the table- isn’t it due time to out a Di’Ja debut Album? This is not to say there aren’t women who receive as much airplay and acknowledgement as due to them. 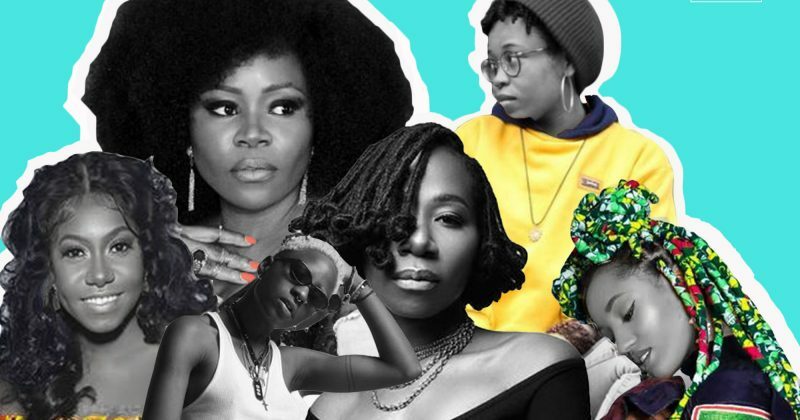 Artists like Omawumi, Tiwa, Yemi, Waje and Asa are artists who have fashioned themselves as spokeswomen for Nigerians everywhere—especially Falana, who easily has done more paid live shows than all the female and most male performers this year. Although she is still new to some, she has been steadily delivering live shows and even performed at Gidi Fest earlier in the year. They’ve tried to be consistent with their brands, even though some of them don’t get as much remuneration and attention as their male counterparts. Think about it. For an album like Yemi Alade’s Mama Africa: The Diary of an African woman, which should have made more cuts than how far it’s gone already, it isn’t. Now, Yemi Alade releases her EP, Mama Afrique, which is an extension of that same album. And the reason is twofold. In what seems like an album to maximize profit off songs that didn’t quite make the grade off the LP, she’s squeezing out all that she could possibly make off the potentiality of songs on the album, by reproducing in other languages. Or perhaps (& obviously) it’s that she’s aiming for wider reach to Anglophone countries and beyond the African continent –Portugal and France to extend the success and influence of her music. Likewise Omawumi has released her album, Timeless, which comes about 2 years after her sophomore album Lasso of Truth. Though we haven’t quite seen any of her songs gain mainstream success as much as it did with her 2009 releases “In the Music” and “Serious Love Nwantiti”. But the battle to improve on her music and for good management has got her signed into a new record label, Cabal Entertainment, under which Timeless will be released. Timeless is based on a gamble that by leaving the jollof music of her past and focusing on timeless classics, she’ll deliver what equals or surpasses her previous works. Waje is also set to release an album in the next quarter; a likely concert and more collaborative works with artists and songwriters including Aramide are also in line. When we talk of matters pertaining to women in the Nigerian music industry, Asa always sticks out as a misnomer. She has not quite stated if she is at home or abroad, but that’s not enough to disown a gem. Asa marked her 10th year anniversary in the mainstream music industry with a live performance in April. She has always been one to tug at our hearts’ strings when on stage, perhaps to slyly underscore the point that she’s always more human and connected to some sort of spiritual affair at that point. With just three albums, between her 2007 eponymous album Asa (Asha), 2011 sophomore album, Beautiful Imperfection and the deft lyrics & soulfulness of her last album Bed of Stone in 2014, Asa continues to cement her stay. To celebrate 10 years, she began a tour in Lagos, since this was where it all began for her —albeit tickets to the concert with her band and a 30-piece orchestra, Vesta Violins, at Eko convention centre were almost as inaccessible as the singer’s homestead in France— keeping it out of reach to an average fan. But Asa’s team understand what foundational branding is. Her team has spent time packaging and marketing a brand that is perceived as superior through its content. Then again, there are women in music who are neither at the beginning of their career or at the peak, there are either just at a plateau, beginning the downswing of their musical career or slightly erratic in their music releases. 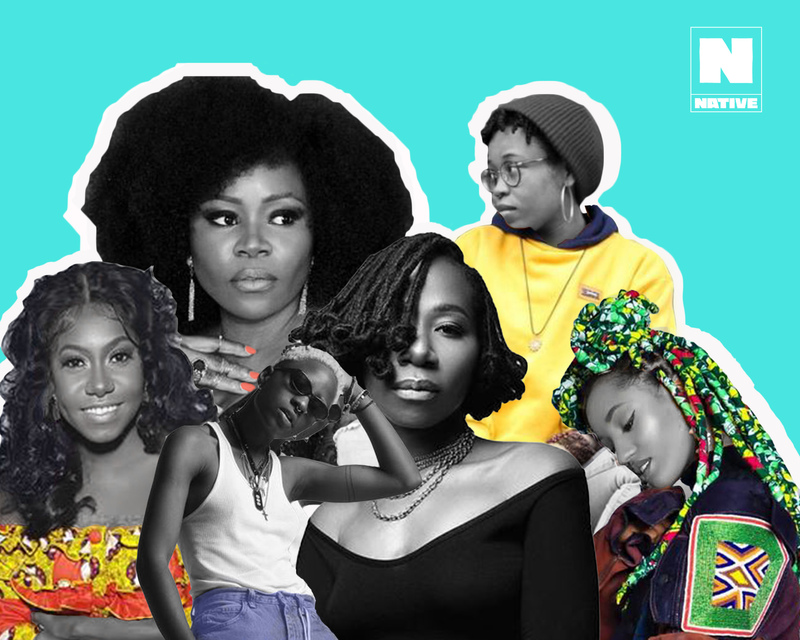 Artists like Ruby Gyang, Seyi Shay, Lola Rae, Pryse, Mo’cheddah, Cynthia Morgan, Eva Alordiah, Niyola, and just on the rim, Aramide, make this list. But each of them do have their reasons as it pertains to either the need to make production as perfect as they want it to be before release —cue Niyola, or because they perceive a particular difference in their style of music and the acceptance of it is pushed slightly back by mainstream music. However, when you see that a music only becomes mainstream when it’s pushed enough, it trumps that. Also, whether or not they are aiming for perfectionism, the fact remains: Consistency should be interwoven with promotion. The need to also collaborate with other artists is important to uplift one another’s music. Female rapper, Pryse has begun a movement with her self-owned music label, International Connection Music Group (ICMG) and done some collaborative works with fellow Rapper Eva, who has consistently said she’s leaving, albeit, we keep seeing her from time to time. Simi is yet to release that debut album we’ve all been deserving of, but we expect a release this year and Seyi Shay released “Yolo Yolo” earlier this year but it’s just quite in the same social position you’ll find “Maradona”. She’s also featured on DJ Star.One’s “Okay” with Maleek Berry, but “Okay” has been off popular airplay radar. Aramide is working up something on Waje’s next album to be released around August, Chocolate City’s Ruby Gyang just released her single “Kale Ni”, a precursor to her debut album, which we wouldn’t get into our bossom till Two Thousand and Eighteeen, and Lola Rae too had her 2016 “One time” reworked for new release featuring RDX (Reggae Dancehall & something Xtra) music duo and Patoranking, last month. The result is an improved Dancehall, backed by some serious star power and gruff male voices, and as they are all deft members under the dancehall genre, the remix is a good blend of their different ranges and style. If overseen well on the sound scape,“One time” should be one in all songs to keep dance floors swaying as the summer months unfold. Meanwhile, other female (soon) music stars are struggling to earn our attention and keep our interest. They are the female artists who have learnt that growing small units of fanbases on the internet and elsewhere, is the key to cracking the code to delight a new generation of music fans: DJ Femo has basically become the female production work artist, Lady Donli has been delivering singles almost every month this year, AT delivered “Two of Us” in April and her rapping dexterity will remind you of Kendrick Lamar when you click play, Wavy the creator’s “Her in Greater Heights (H.I.G.H)” proves the photographer, Model and now an artist, is a force to reckon with. Avala in her words says “Gimmie Chance” and goodness, Ebisan’s got signed into Aristokrat already and hitting it with haunting vocals on “Ice Cold Water”. Ezi Emela delivered “Chineke Meh” in January, though we haven’t heard from her. This may have played a role in the song’s gradual fall from popularity. Ezi is one who’s been more popular in the diaspora, but with the courage and bawdiness depicted in her songs and cover art, Ezi is nearer the gates into the mainstream as she aims to crossover to the Nigerian industry. “Chineke Meh” proves that Ezi isn’t ready to play by the rules, with nary a thought of other people’s opinions and with scenes similar to Rihanna’s “Pour it up” video, Ezi’s “Chineke Meh” is nothing you’ll expect from what the name says. She seems to be cheeky and ballsy, a little bit raunchy, although not so comfortable & in control of her technique yet, she is almost at complete ease with her sexuality. She may just be the one to mark the entry of next cohort of artists (after Tiwa Savage) who will confidently embrace that ‘raunchy image’. A peep into the video for “Chineke Meh” would get you in the know. It’s not good content that is absent, these people are polishing the edges of their career in music. What results are a futuristic horde of female artists to now look forward to. It wouldn’t be a sudden break out cause they already have a number of audiences, but soon you’ll realise everyone has tilted towards lending ears to their wave. The marginalization of women who choose a career in music, then, suggests that if their team know their worth and are marketed well enough, attitude towards their music will meet up to expectation. And If you are wondering about Chidinma’s Whereabouts, after her “Fallen in Love” music video from late last year, which recently hit 13 million views on Youtube, Chidinma gave an update to her library in February with “Plenty Melody”, and her most recent update is on Flavour’s new album, Ijele – The Traveler Here.